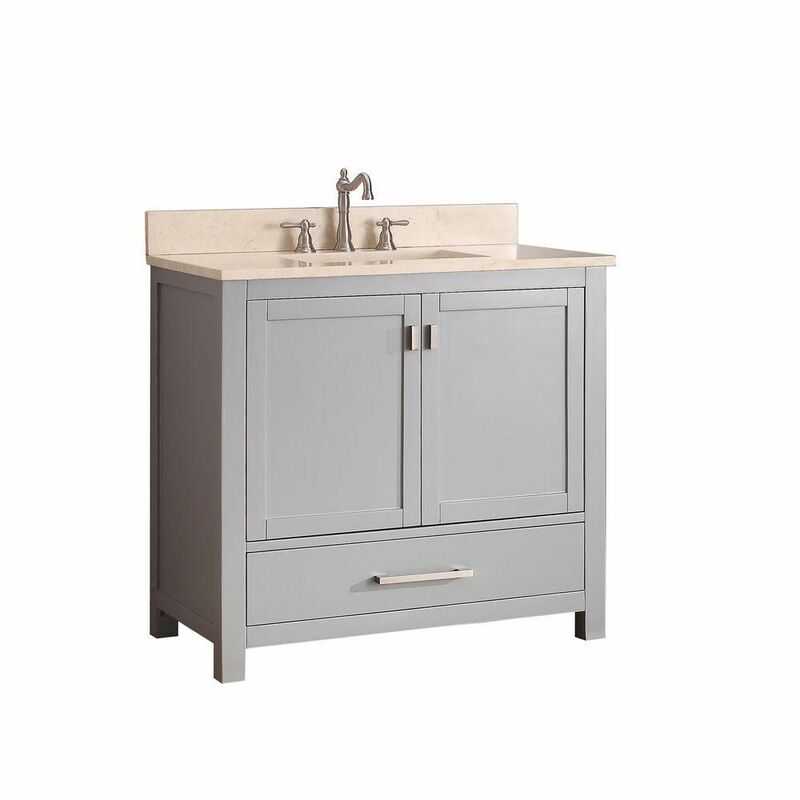 Modero 37-inch W Freestanding Vanity in Grey With Marble Top in Beige Tan With a traditional look and strong design, this vanity will help any bathroom look nicer. With a beige tan marble counter and grey solid wood base, this piece is very stylish. Put a nice twist on your bathroom project with this classic piece from Avanity.